Father, thank You for being the God of hope and my hope. You alone are the source and the reason for my hope. Because of You, I can pray in hope; walk in hope; believe in hope; endure in hope; overcome in hope; live in hope. When I look to the future I have hope because You are already in the future. I have a future that is secure because You are my future. Father, it is Your hope that frees from the despair of hopelessness and the insecurity of false hope. When I look ahead, I do not see the details clearly, but I see You, the One who is in all the details of what is ahead. I believe in Your plan and purpose for my life. 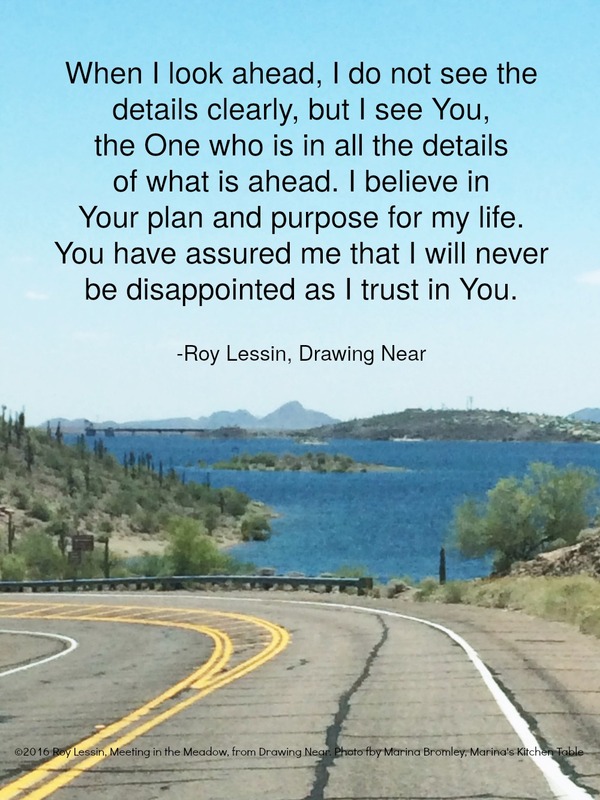 You have assured me that I will never be disappointed as I trust in You. Thank You for the confidence Your hope gives me to be faithful today and to move forward in the pathway You have for my tomorrows. I put my expectations, not in others, but in You. I am confident that all Your desires for me are good. The hope You give me brings happiness and rejoicing to my heart. Thank You, Father, for being the author of all the chapters of my life that are yet to come. Thank You that my life will have a happy ending because I will be with You forever, in the place that You have prepared for me and for all those who have put their trust in Your salvation through Jesus Christ. Amen. ©2016 Roy Lessin, used with permission. From "Drawing Near; Prayers, Blessings, Promises." A devotional prayer journal by Roy Lessin. Available through DaySpring.com and your favorite Christian retailers.